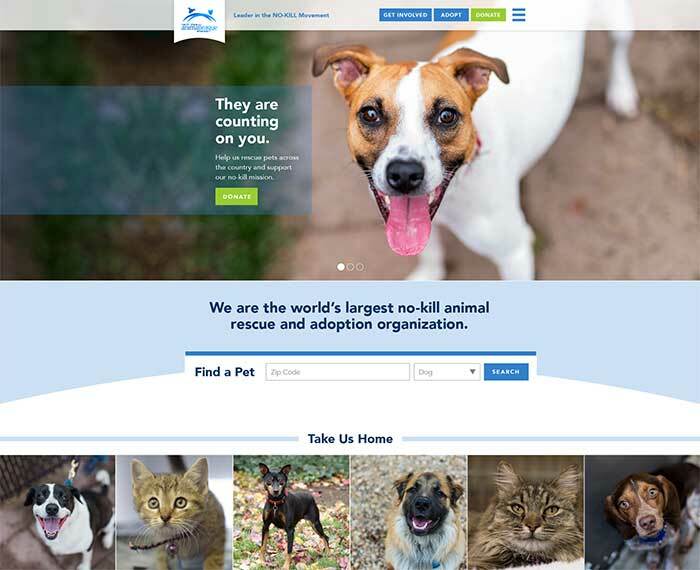 Animal League America needed a new website to focus on their top goals of adoptions and donations. The process started with a content audit and information architecture overhaul to streamline the user experience and ensure it will respond to a mobile environment. We made the adorable pets, and the people who love them, front and center in the design. HelpGood then integrated WooCommerce, Stackla, Salesforce, Blackbaud, and legacy databases into WordPress to fit the various needs of the organization. Extensive user testing also helped ensure that the site focused on conversions and the optimal user experience. Since the launch of the site in 2017, Animal League America has seen a sharp increase in both adoption and donations!